Today I started prepping dinner around 3pm while Mason was napping away. Since I knew it would have to bake later on, I figured getting it ready ahead of time was a definite time saver. I made Spinach Lasagna Roll-ups, adapting the recipe from "The Girl Who Ate Everything" blog. Combine spinach, ricotta, Parmesan cheese, egg, garlic, spices, and 1/2 of the mozzarella cheese in a bowl. Pour about 1/2 cup sauce on the bottom of a baking dish (I used a round glass pie pan). 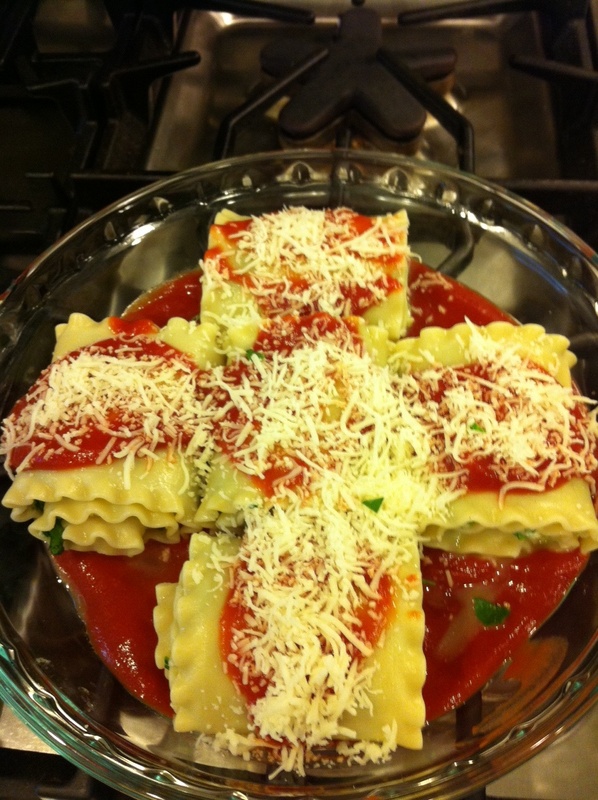 Place a piece of wax paper on the counter and lay out lasagna noodles. Take 1/3 cup of ricotta mixture and spread evenly over a noodle. Roll carefully and place seam side down onto the baking dish. Repeat with remaining noodles. 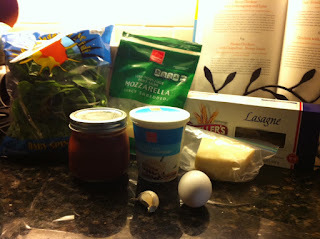 Spoon 1/4 cup sauce over the noodles in the baking dish and top with remaining 1/4 cup of mozzarella cheese. Cover baking dish with aluminum foil and bake for 40 minutes, or until cheese melts. Makes 5 rolls. 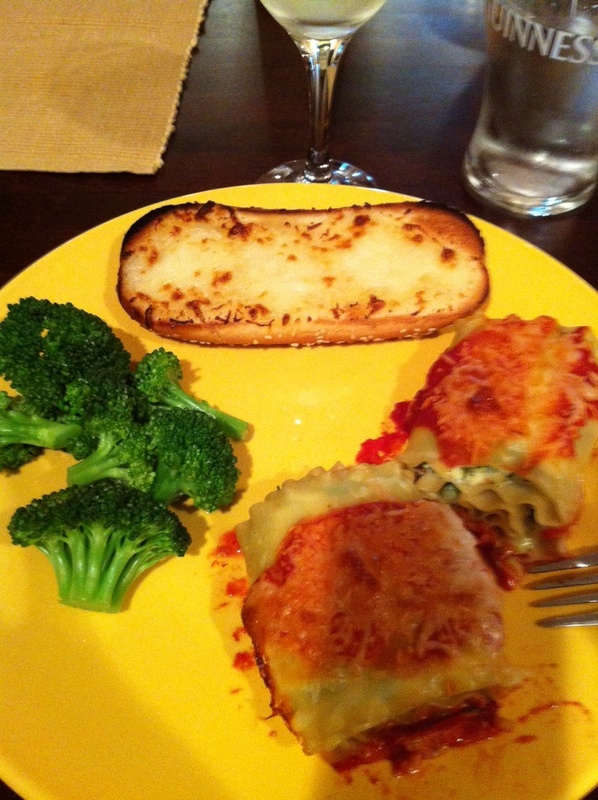 Final dinner included a slice of garlic bread and some steamed broccoli. The added crushed red pepper flakes really brought a good flavor to the pasta dish. Ryan's verdict ... "make this again!"